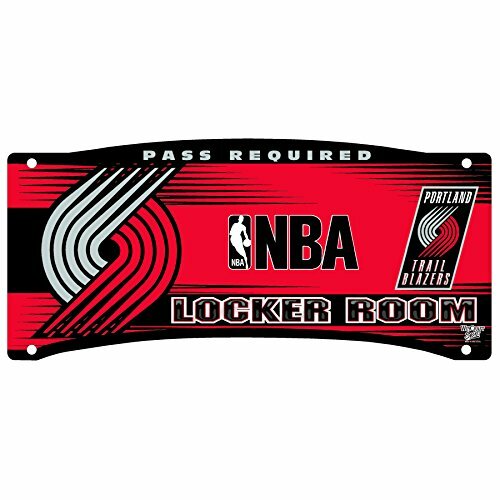 Show your team pride in any room with this terrific Street Sign. Features official team colors and logos. Made of durable plastic with die cut holes for hanging. These signs work well as replacement to a poster because they are nearly indestructible in normal use. Can be washed with soap and water. The look great outside or indoors and are perfect to hang on doors.Official team logos and colors.A terrific gift item. Officially licensed by the Portland Trail Blazers and the NBA.